Today’s special is a Christmas tradition around the Ron family household. Every year, Ron’s Hot Italian Grandma makes Ron’s Hot Italian Grandma’s Hot Italian Jalapeno Chicken Wings for the family. 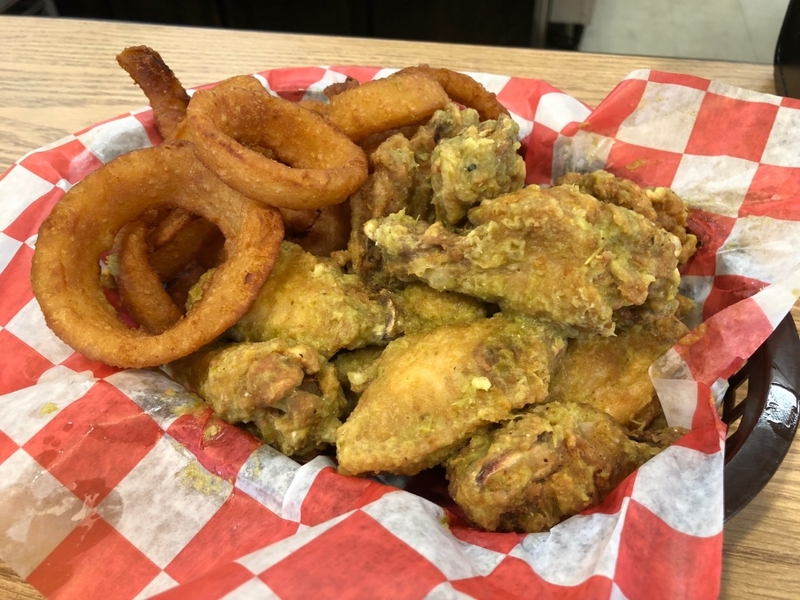 To keep with Christmas tradition, we will be serving 12 traditional wings tossed in Ron’s Hot Italian Grandma’s Hot Italian Jalapeno Hot Sauce, served with a side of onion rings for $8.75! For those less brave, we also offer mild or BBQ sauce in place of the Jalapeno Hot Sauce. Soups today are Broccoli Cheddar, Roasted Red Pepper & Gouda, and Chicken & Dumpling, as well as our traditional trio of Chili, Chicken Noodle, and Lobster Bisque! 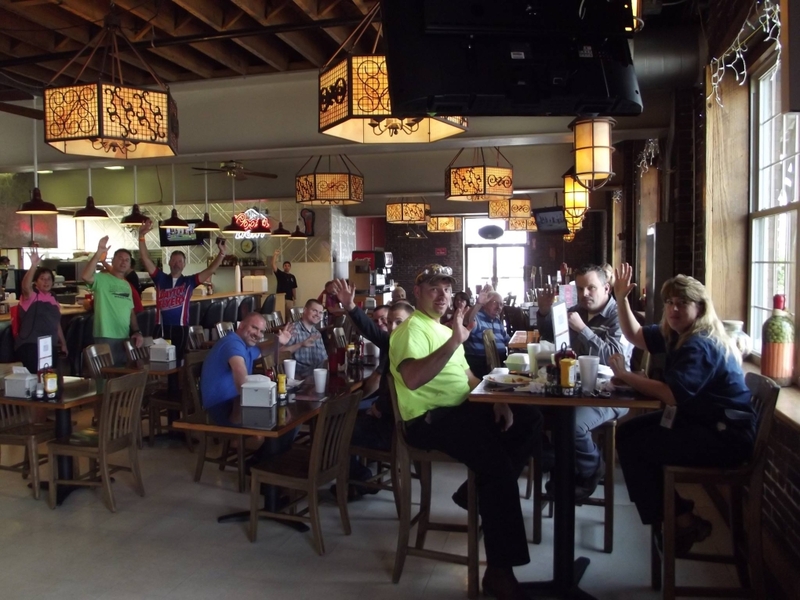 Have a wonderful Wingsday Dayton! Zac & Ron have put their culinary minds together to come up with today’s special: Zac & Ron’s Excellent Buffalo Chicken Tacos! 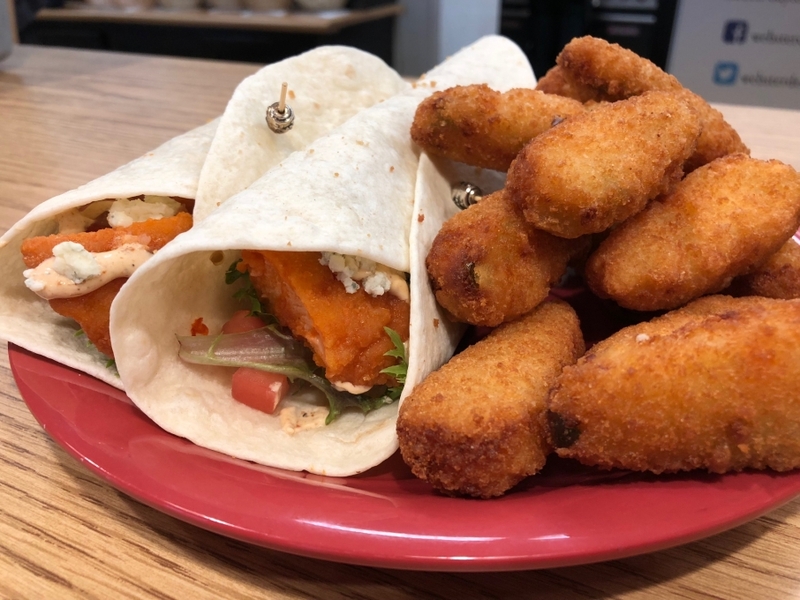 We have two flour tortillas stuffed with buffalo breaded chicken, spring mix, tomato, chipotle sour cream, and blue cheese crumbles, served with a side of Jose’s Fiesta Tots for $9.00! This week’s Weekly Feature is Greg’s Italian Pizza! We have a 7″ pizza crust topped with a traditional pizza sauce, our super cheese blend, ham, pepperoni, salami, and capicola, with roasted red & yellow tomatoes, roasted garlic, and banana peppers, served with a garden salad (lettuce, tomato, cucumbers, and mixed cheese), your choice of dressing, and a fountain drink for $10.00! Soups today are Red Lentil & Veggie, Roasted Poblano, and Creamy Chicken & Wild Rice, as well as our typical trio of Chili, Chicken Noodle, and Lobster Bisque! Today’s special is Q’s Cuban Bacon Burger! 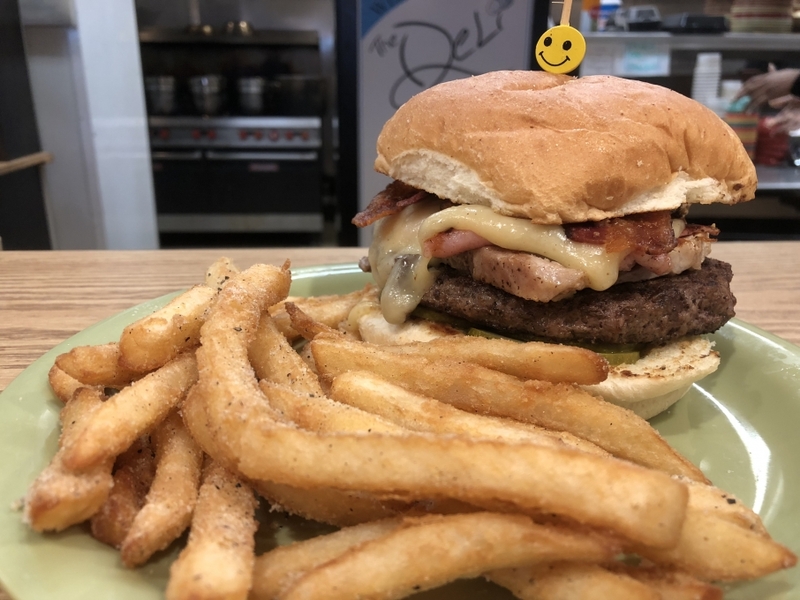 We have our grilled hamburger topped with pork loin and shaved ham, applewood-smoked bacon, Guggisberg Swiss cheese, pickle chips, and dijon mustard, served on a toasted kaiser roll with a side of fajita-seasoned french fries for $9.50! Soups today are Parmesan Kale Italian Sausage, Creamy Chicken & Wild Rice, and Friday Favorite Tomato Basil, as well as our traditional trio of Chili, Chicken Noodle, and Lobster Bisque! 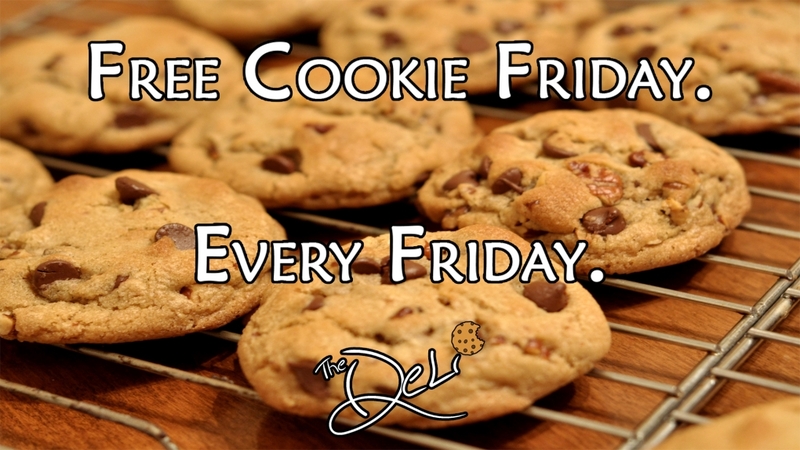 Have a fantastic Friday Dayton! Today’s special is Ron’s Taco Burger! 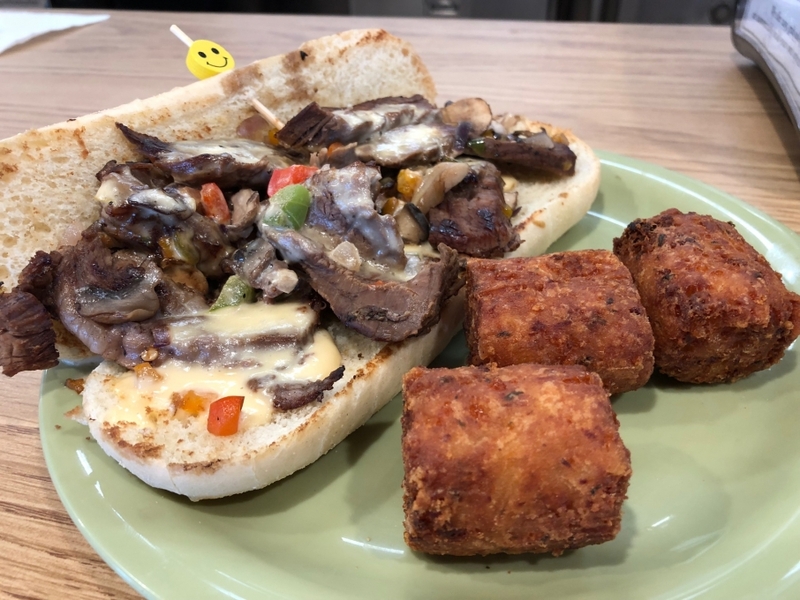 We have our grilled hamburger seasoned with a blackened-taco seasoning, topped with a Mexican cheese blend, guacamole, lettuce, tomato, jalapenos and taco-seasoned onions & peppers, served on a toasted kaiser roll with a side of blackened-taco-seasoned fiesta tots for $9.50! This week’s Weekly Feature is The Italian Triple Decker! 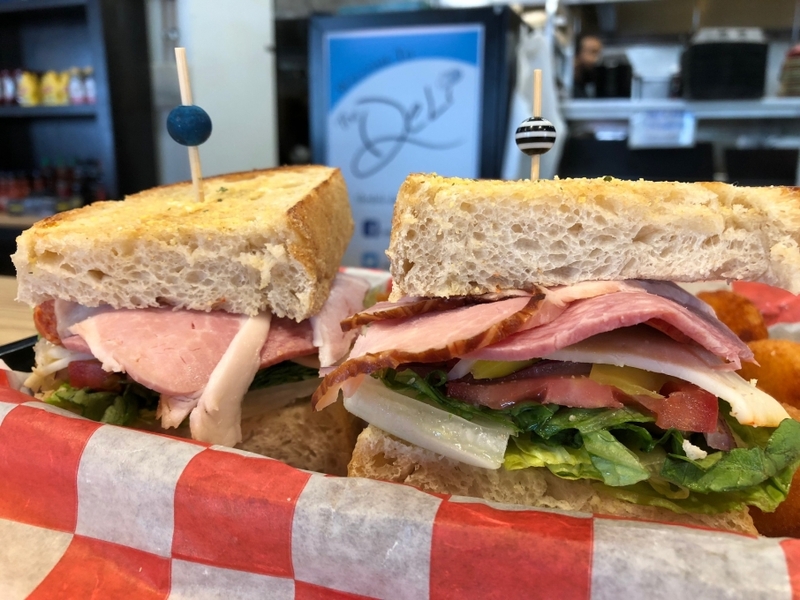 We have ham, pepperoni, salami, and bacon served on three pieces of toasted sourdough bread with provolone and muenster cheeses, lettuce, tomato, onion, banana peppers, and a roasted tomato Italian cream sauce, served with a side of garlic french fries for $9.25! Soups today are Chicken Tortilla, Roasted Red Pepper & Gouda, and Wicked Thai-style Chicken & Rice, as well as our traditional trio of Chili, Chicken Noodle, and Lobster Bisque! Have a tremendous Tuesday Dayton! Today’s special is a remix on a classic special: The Sandy! 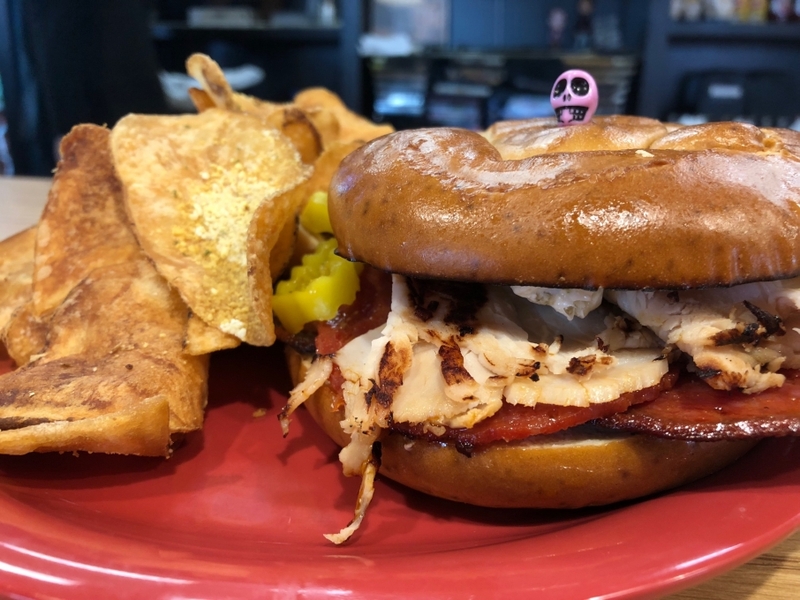 We have grilled turkey & pepperoni topped with banana peppers and a Mad Sweet Heat Candied Jalapeno cream cheese spread, served on a toasted pretzel bun with a side of Deli chips for $8.50! This week’s Weekly Feature will be a Drunken Triple Turkey Sandwich! 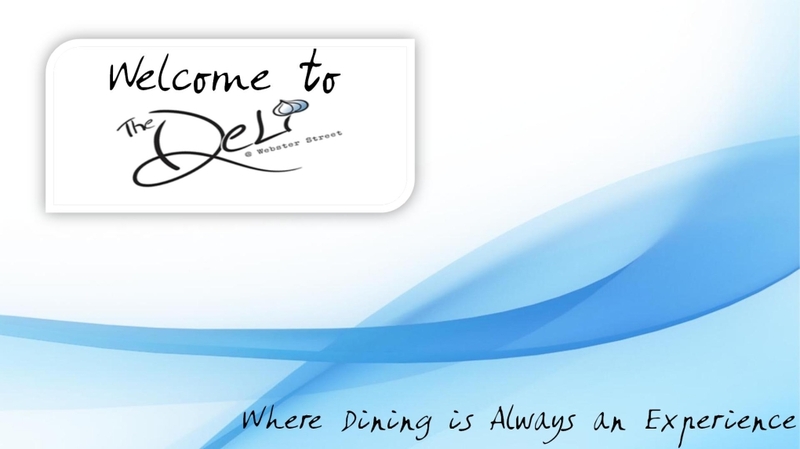 We have a third-pound of oven-roasted turkey topped with turkey bacon, a Wild Turkey Drunken Turkey Sauce, cheddar cheese, lettuce, and tomato, served on toasted marble rye bread with a side of sweet potato fries for $9.00! Soups today are Butternut Squash, Chicken Pot Pie, and Baja Chicken Enchilada, as well as our traditional trio of Chili, Chicken Noodle, and Lobster Bisque! Today’s special is Matt’s Pastrami Bacon Reuben Burger! 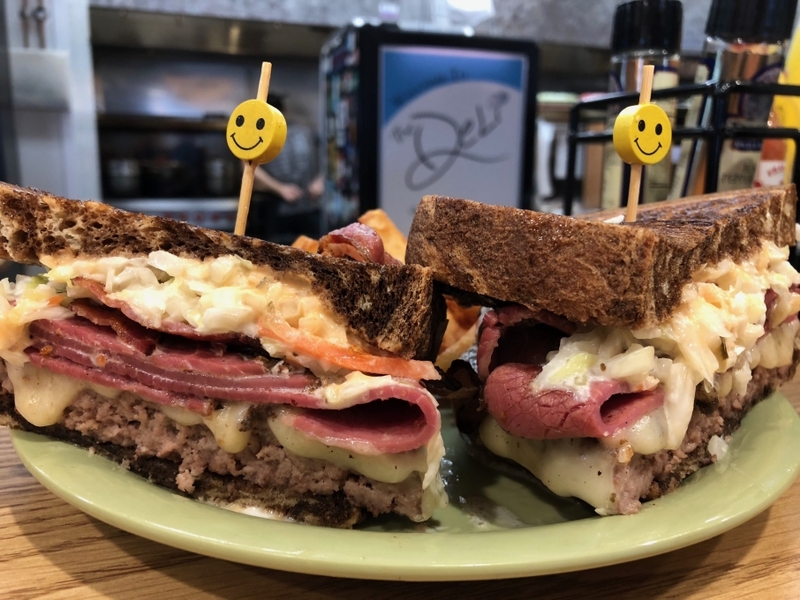 We have our grilled hamburger topped with grilled pastrami, Swiss cheese, bacon, cole slaw, and thousand island dressing, served on toasted marbled rye bread with a side of french fries for $9.25! Soups today are Tomato Basil, Spicy Chili, and Loaded Baked Potato, as well as our Chili, Chicken Noodle, and Lobster Bisque! Have a wonderful Wednesday Dayton! We hope that you had a relaxing Labor Day! Today’s special and this week’s Weekly Feature is a Warped Wing Warped Steak Philly! We have grilled flank steak that has been marinated in Warped Wing’s Pirogue Black Tripel, topped with our quadruple pepper blend, gourmet mushrooms, and diced onions, all covered in our housemade Warped Wing Flyer Red Beer Cheese, served on a toasted baguette with a side of bacon-cheddar-chive tater cakes for $9.25! Soups today are Chicken Dumpling, Tomato Tortellini, and Chicken & Wild Rice, as well as our traditional trio of Chili, Chicken Noodle, and Lobster Bisque! Today’s special is Tay’s Ham & Turkey Treat! 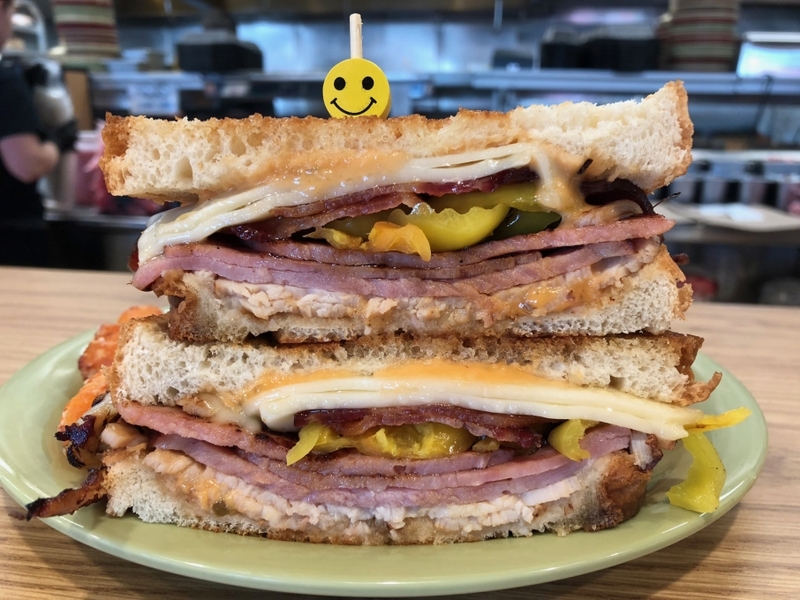 We have a combined half-pound of grilled turkey & ham, topped with bacon, swiss cheese, banana peppers, and thousand-island dressing, served on toasted sourdough with a side of sweet potato tater tots for $8.50! This week’s Weekly Feature will be Mad Sweet Heat BBQ Pulled Pork Nachos! We have tri-colored tortilla chips topped with pulled pork, our housemade Mad Sweet Heat BBQ sauce, our super cheese blend, lettuce, tomato, and banana peppers, with sides of guacamole, sour cream, and your choice of either mild or hot salsa for $8.00! Soups today are Butternut Squash, Chicken & Wild Rice, and Minestrone, as well as our traditional trio of Chili, Chicken Noodle, and Lobster Bisque! Today’s special is in celebration of Lizzie’s birthday! 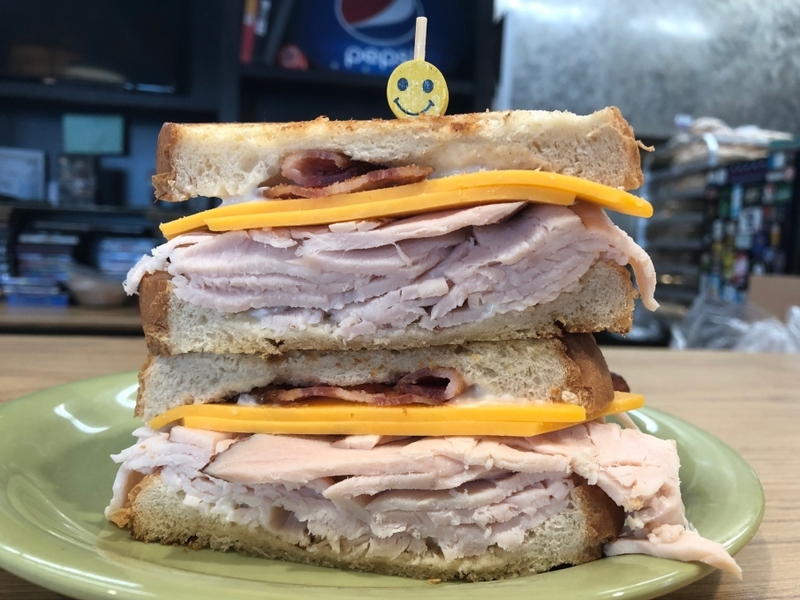 We have a third-pound of turkey topped with cheddar cheese, bacon, and mayo, served on grilled sourdough with a side of tater tots for $8.50! This week’s Weekly Feature is Teriyaki Steak & Rice! We have flank steak marinated in a ginger-soy teriyaki, served on top of white rice with green onions and sesame seeds, served with a side of a vegetarian egg roll and a fortune cookie for $8.50! 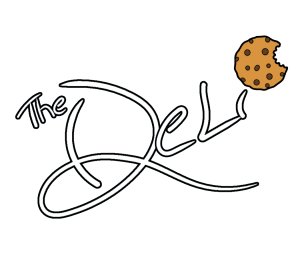 Soups today are Chicken Tortilla, California Medley, Tomato Tortellini along with our famous trio of Chili, Chicken Noodle and Lobster Bisque. Have a wonderful Wednesday and a happy birthday Lizzie! As our good friend and former employee Joey celebrates her 100th birthday, we have one of her all-time favorite sandwiches as today’s special! 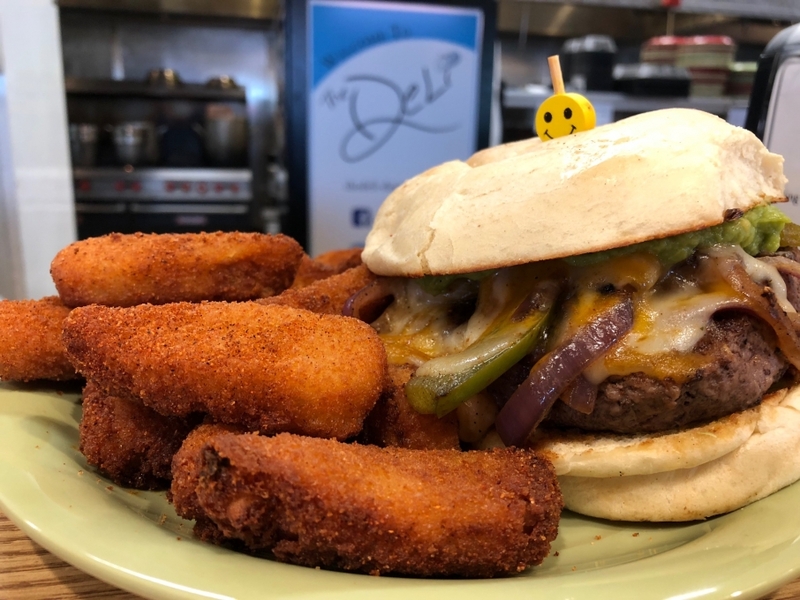 Joey’s Cold Italian comes with pepperoni, salami, and ham with muenster cheese, lettuce, tomato, onion, and banana peppers, served on a thick-cut garlic-parmesan-seasoned sourdough bread with a side of Joey’s Cheesy Tots for $9.00! This week’s Weekly Feature is a Flyer Red Pork Kielbasa! We have a pork kielbasa cooked in Warped Wing Brewing Company’s Flyer Red Lager, topped with mixed cheese, diced onions, and bacon bits, served on a toasted brat bun, served with a side of deep fried mashed potato bites and our housemade Flyer Red Beer Cheese for $9.00! Soups today are Tomato Tortellini, Parmesan Kale Italian Sausage, and Broccoli Cheddar, as well as our traditional trio of Chili, Chicken Noodle, and Lobster Bisque! Have a wonderful Wednesday and happy birthday Joey!